He's notoriously private about his family and private life. 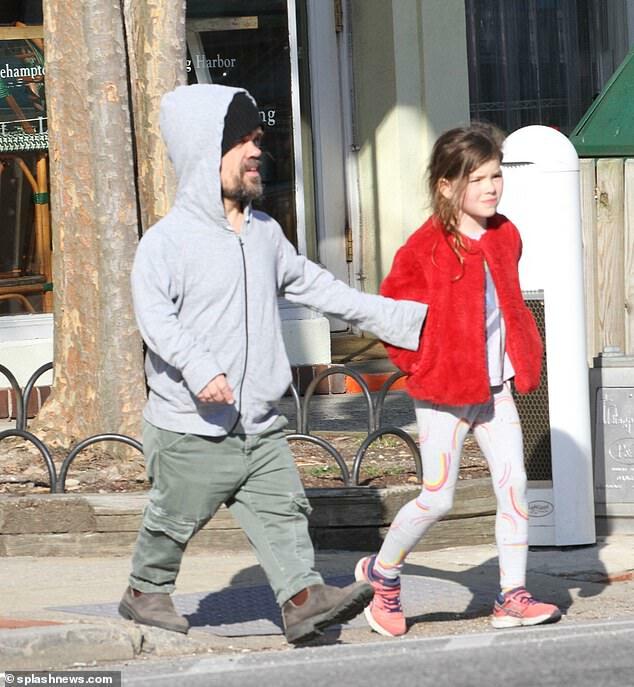 And Peter Dinklage enjoyed some quality time with his nearest and dearest as he headed on a day out to The Hamptons on Sunday. The Game Of Thrones star, 49, was joined by his director wife Erica Schmidt and their two young children as they made their way along the street. Peter, who plays Tyrion Lannister in the hit HBO fantasy series, wore a grey hooded top for the outing, teamed with a black beanie hat. The star added a pair of khaki trousers and a pair of brown boots to his casual look.